Lifelong crook Herman Schultz self-engineered a pair of powerful vibro-shock gauntlets, which he planned to use to shake open safes. Donning a yellow padded outfit for shockwave absorption and taking the codename Shocker, Schultz launched into a life of career crime! He may not be Spider-Man’s toughest foe, but he’s one of the most memorable. The Quilt that Walks Like a Man! 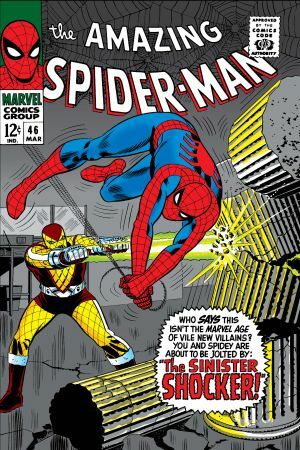 Shocker surprisingly emerged victorious from his first fight with Spider-Man. Emboldened by this success, Shocker attempts to rob the Federal Reserve. But Spidey was prepared this time, webbed up Shocker’s gauntlets, and knocked him out cold. In his grand return, the Shocker assaults Captain Stacy and steals the powerful Lifeline Tablet with the intent to auction it off to the highest bidder. 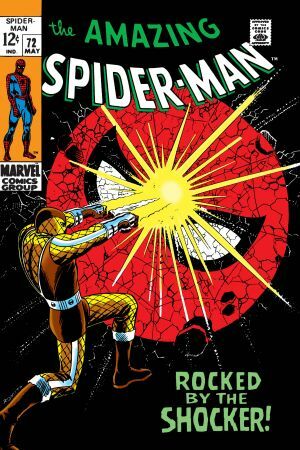 While he comes out on top against the wall-crawler at first, Spidey webs Shocker up during an armored car robbery. The Shocker joins Egghead’s incarnation of the Masters of Evil! 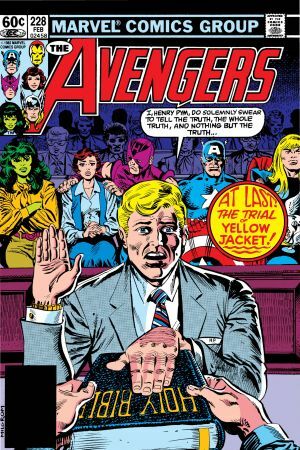 The Masters attack the courthouse where Hank Pym’s standing trial for treason. Shocker is soon subdued by She-Hulk and Hawkeye, but his equipment has been sabotaged by Egghead, who’s brainwashed Shocker into believing that Hank Pym orchestrated the attack! 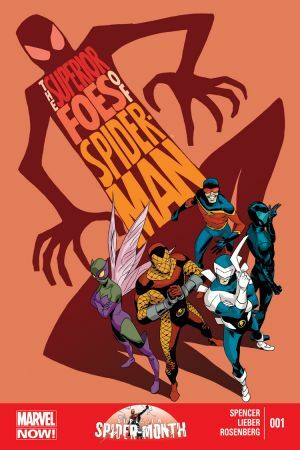 While most of the world’s heroes are preoccupied with the Infinity War, Doctor Octopus seizes his chance to take over an unguarded Avengers Mansion with the aid of his new Masters of Evil, including Shocker. 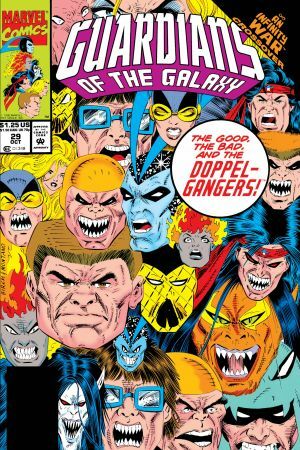 Enter the Guardians of the Galaxy, who arrive moments before the Masters’ assault! 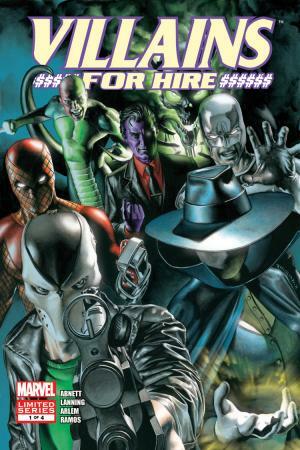 Why has Misty Knight hired psychopaths like Tiger Shark and Speed Demon in her Heroes for Hire operation? Because the mind-controlling Purple Man is out to build a criminal empire with an army including Shocker, Avalanche, and the all-new Scourge! Boomerang convinces Chameleon to help spring him from jail, and to that end the master of disguise impersonates Hammerhead and tricks Beetle, Speed Demon, Overdrive, and Shocker into freeing Boomerang. Together, Boomerang and his new crew begin a never-ending mission for big scores and bounty!